Well, this is a fairly obvious entry for Make It So, Batman: Arkham Asylum was a wildly popular game and its sequel Batman: Arkham City completely blew it away so a third installment is more of a ‘when’ than an ‘if.’ In Arkham Asylum, the Joker has lured Batman to the title’s location where the villain has had the prisoners from Blackgate Penitentiary transferred to the institution and takes it over as his own personal funhouse. Therein, experiments have been done on Venom, the drug used by Bane to vastly increase his physical strength, which produced a more potent compound in Titan. Employing this new drug, the Joker tries to enact a final face-to-face confrontation with Batman only to fail. As Titan was imperfect and in its infancy, the side effects were unknown until Joker’s use of it, where it’s discovered using it means a death sentence. With the Asylum in ruins (and Blackgate a burnt husk), its warden Quincy Sharp takes credit for Batman’s reclaiming of Arkham to become Gotham’s mayor and quarantines a chunk of the city as a new prison city for its criminals and mentally unbalanced. However, this is in fact a ploy by Hugo Strange (a scientist who enslaved Sharp’s mind) to get Gotham’s villains and heroes in a single location and eliminate them all, with plans to do the same across the world as part of his bid to become Ra’s al Ghul’s heir and wipe out humanity. As Batman is drawn into the so-called Arkham City to stop Strange and Ghul, the Joker complicates matters by infecting Batman and Gotham’s blood supply with his Titan-tainted blood. 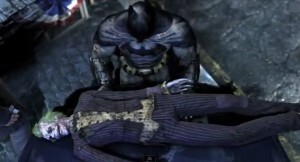 Ultimately, Batman stops Strange and Ghul, closes Arkham City, and uncovers a cure for Titan’s legacy. Unfortunately for the Joker, in a fit of madness, he destroyed the only vial of the cure Batman had which leads to the villain’s demise. Harley Quinn, already distraught at losing Joker, is further enraged by the fact she carries his child and will not have a father to raise their offspring (though, this may have been a false positive or she may have miscarried). 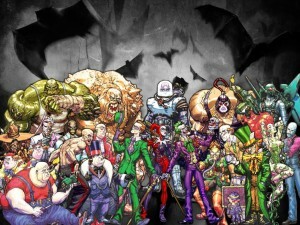 Along with Joker, Strange, Ghul, Clayface, Solomon Grundy, and Talia also died during the events of the game. 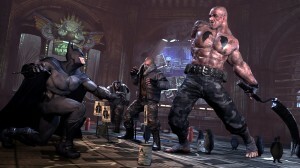 Despite being released last year, the game goes on strong as a new DLC for the game in Harley Quinn’s Revenge was recently released and an updated version of the game in Batman: Arkham City – Armored Edition will be released for the Nintendo Wii U (the company’s latest console to be released by the end of the year). What can fans hope for in a sequel? 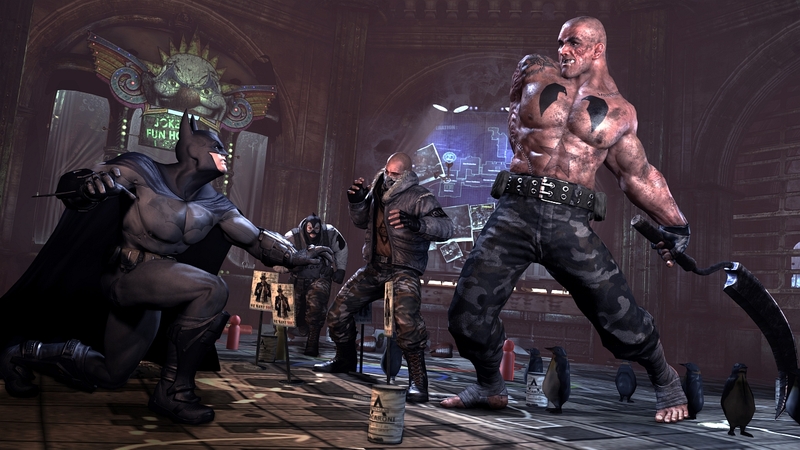 Playing in Arkham City is amazing. It’s a wide canvas that allows you to fly around and explore, allowing the player to run straight through the game or take part in various side missions to expand gameplay. 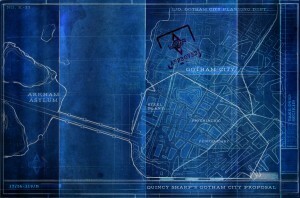 Various well-known locations are in the game, such as Gotham City’s Central Police Department, Iceberg Lounge, Ace Chemical, and Monarch Theater. It’s only logical in a sequel, you would have the opportunity to explore every thing: Arkham Asylum, Arkham City, and beyond. You can enter the Batcave for a challenge map, but what about as an accessible location? What about Wayne Manor? And other locations, like Wayne Tower, Wayne Foundation building (which has its own Batcave), Robinson Park, Gotham Gazette building, Clocktower, Statue of Justice, and Blackgate? 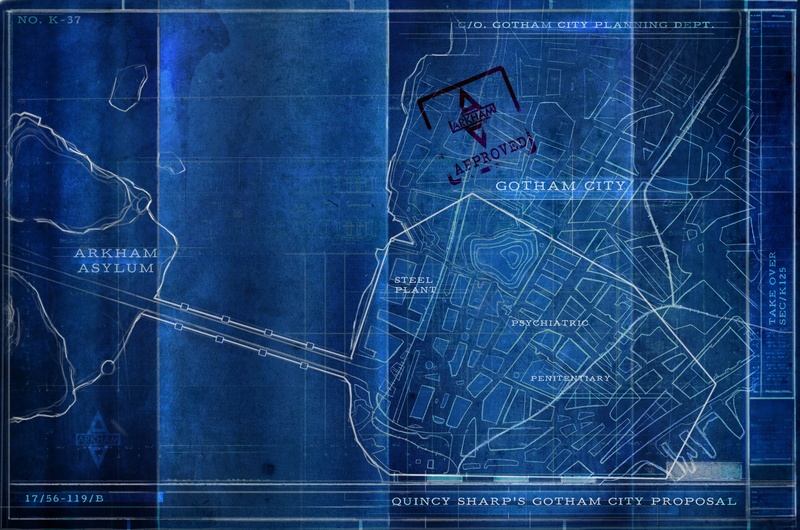 Comparing a map of Gotham and Arkham City, we’re likely talking about an area four times the size of what was available in the last game. 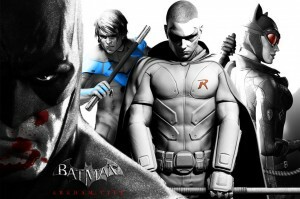 In Arkham City, you’re capable of playing as Batman but, through DLCs, can also assume the roles of Catwoman, Robin, and Nightwing. Introducing Azrael in the latest game, it would make sense he would also be playable in the sequel. Likewise with Jack Ryder, perhaps this could mean he can be played as the Creeper in the next game. There are, of course, plenty of other candidates such as Batwoman, Batgirl, Huntress, Black Canary, and Manhunter. 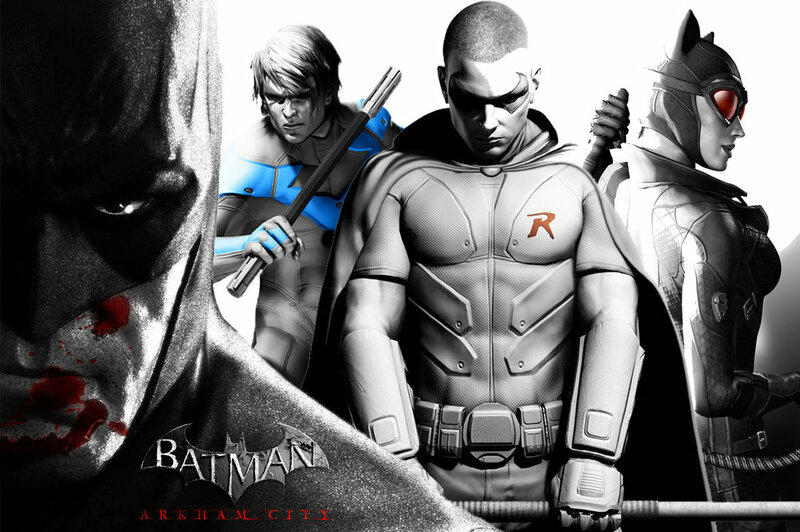 If the game developers decide to expand the game to the entirety of Gotham, it would make sense its various heroes become involved. The same holds true of Batman’s villains. 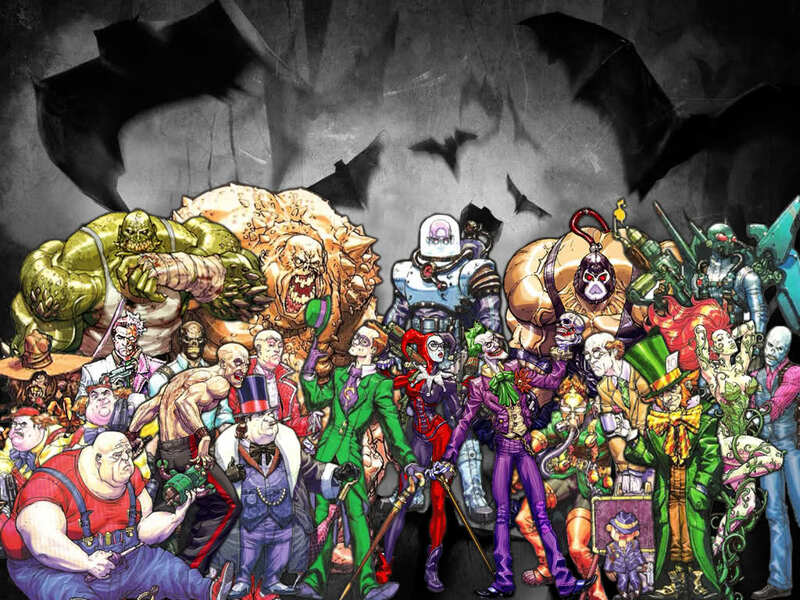 Between the Batman games, you have villains like Joker, Harley Quinn, Killer Croc, Scarecrow, Hugo Strange, Ra’s al Ghul, Talia, Mr. Zsasz, Riddler, Penguin, Two-Face, Poison Ivy, Black Mask, Calendar Man, Solomon Grundy, Clayface, Mad Hatter, Abramovici Twins, Bane, Hush, Deadshot, Deathstroke, Scarface, and Mr. Freeze. Alone, these are rather expansive. 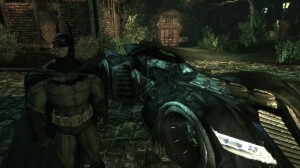 But, if Arkham City taught anything, you can always go bigger. 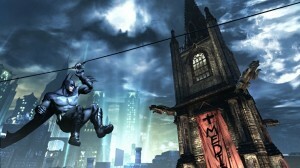 Imagine fighting across Gotham’s rooftops (or around the Statue of Justice) with Man-Bat. A pitched battle with Firefly where you begin to lose health from smoke inhalation and the battle scene shifts as structures collapse and flame ridden areas cause harm if approached. A game of cat and mouse with Red Hood. Battling Dr. Phosphorus, how do you fight what you can’t touch? When you already got Bane and Deadshot, you’re only a few components shy of a full Secret Six. And so many more others: Professor Pyg, Dr. Hurt, Great White Shark, Blockbuster, Lock-Up, Maxie Zeus, Copperhead, Black Spider, Merlyn, Hook, Zeiss, Killer Moth, Nocturna, Terrible Trio, etc. Not to mention the Arkham games are often rife with cameo appearances, you can toss in nods to Jason Blood’s occult shop, Rory Regan’s pawn shop, Plastic Man, Boston Brand and the circus, Zatanna’s stage show, Ted Grant’s gym, etc. Maybe the only complaint out of the two previous games is this: when do I get to ride one of those vehicles? We get to see the Batmobile and Batwing, but not get behind the controls. Then you also got the Batboat, Batcycle, and Batcopter. Introducing vehicles adds an entire new element to the game we’ve yet to experience. Even if we only get them briefly, like as part of a chase or to get to different locations. It would be fun to jump into the Batcopter and lower yourself over a Riddler trophy or have the Batmobile shoot a line to a moving vehicle and navigate across the wire battling thugs. Imagine incorporating the Batcycle as part of the battle system running into enemy attackers, or sliding beneath them to knock them down, or hitting them with the back wheel in a spin. Jump in the Batboat and submerge into Gotham River and navigate around depth charges. In each game, we become closer to experiencing the world as Batman. The ability to use vehicles maybe all that stands in the way of really going all the way with a video game. Just like Alfred said in the latest installment, Batman’s going to need a bigger belt pretty soon. Between batarangs, reverse batarangs, remote-controlled batarangs, sonic batarangs, sonic shock batarangs, freeze blast and cluster, freeze proximity mines, smoke pellets, firearm/mine disruptor, remote electrical charge, batclaw with grapnel boost, line launcher, explosive gel, and cryptographic sequencer, the Dark Knight is like a walking arsenal. But, we return to a simple truth: if you’re going to do a sequel, you have to go even bigger. What else could Batman possibly need? How about an explosive batarang? It would mean detonating far-off breakable walls you can’t reach or to take down enemies and could have a prolonged respawn time to help prevent abuse (similar to the smoke pellet and firearm jammer). Maybe a vertical line launcher when there’s no surface for a batclaw to snag the edge of. A flash bomb could be useful, either to briefly blind enemies or create a distraction. Knockout darts would always be a cool addition (with prolonged respawn time to help circumvent abuse). A tear gas grenade could make enemy soldiers flee an area (tossing one of those through a window in a small room of gunmen would rock as they’re too busy gasping and screaming to shoot you). Sting grenades fire rubber balls as a fragmentation explosive which can stagger multiple targets. And while not a new gadget, older gadgets could be used for new takedowns. Imagine using your batclaw to catch the pant leg of an unsuspecting enemy from an elevated position and land down leaving the opponent hanging upside down from a structure (even an inverted takedown outside solely predator mode would be nice). For puzzles, imagine stopping gears or something using a batarang. Use a line launcher like a zipline to crash into enemies. 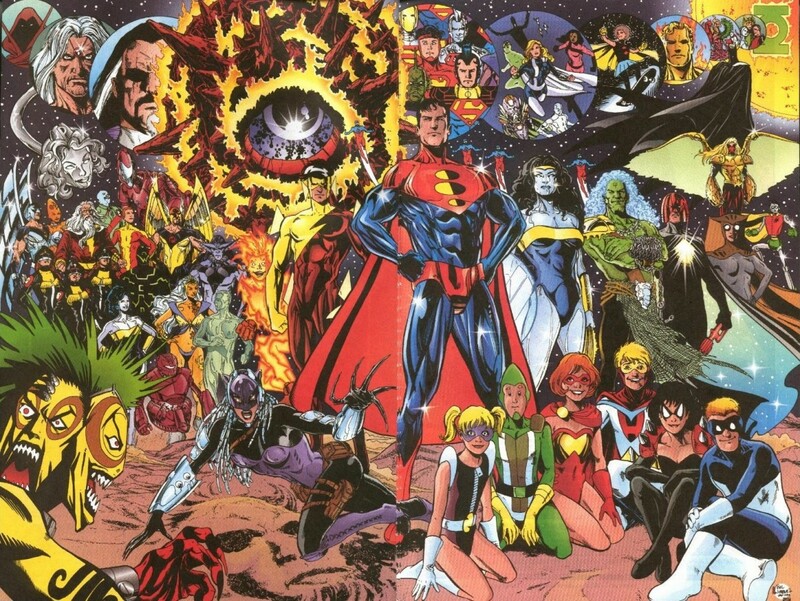 Of course, none of this even takes into account all the gadgets of new characters like Catwoman, Robin, Nightwing, and anymore that could emerge. At its core, what makes the Batman Arkham games amazing is the pairing of excellent game play and an involving narrative. Asylum lit the fuse, City blew up the structure, and the third game needs to be the disaster left in its wake. This likely heralds back to what Azrael discussed in City, where Batman is destined to see Gotham burn, to close the gates of Hell, but in doing so he will burn along with it. City leaves a lot of threads to follow up on. One issue is the emergence of Hush who has Bruce Wayne’s face which threatens to cause trouble for Batman on his home front. There’s then the issue of Harley Quinn’s pregnancy (or not). It was believed by many who discovered Harley to be pregnant that she would take over the Joker’s role as main antagonist as she seeks revenge. However, with the latest DLC, doubt is cast on her pregnancy (or possible miscarriage) and called Harley Quinn’s Revenge, it maybe the extent of just capturing Batman with hopes to kill him. What maybe the real story is the introduction of the Lazarus Pit and the various characters who died in City. Grundy, who is tied to the Pit in City, could easily be explained away for a return. Clayface you never know if he could truly die, especially collapsing into the Pit (which could even change the character in some fashion). But what’s mostly in question is the League of Assassins and its leadership (or lack thereof). Within the confines of City, you had Hugo Strange, Batman, and Joker all vie for Ra’s al Ghul position as leader (where Batman turned it down and his opponents seemingly die). And yet, Strange has “died” before only to miraculously reappear. Ra’s’ body disappeared at the end of City (not unlike in Asylum). Considering the only members of the League we meet in City is Talia’s guard, it wouldn’t be farfetched they resurrect her. What this could all mean is that this can go a lot of ways. As Joker was the last candidate to lead the League, they could recapture his body and bring him back to life. The League could bring them all back and let various factions fight it out to see which leads. Regardless, I think it’s safe to say death is unlikely to be enough to stop the Joker.